Ever dream of going to the lightest and brightest parts Tokyo and Las Vegas in the same day? I definitely have, and now you can do it within the confines of the gargantuan 4,154,869sqft ‘Vegas’ shopping mall in southern Moscow. Start your shopping experience by having a total triple sau cow in the ice-rink and then rounding out your pre-shopping pleasure with a ride on the 60ft Ferris wheel. Afterward, relax for a bit in the Vegas ‘super mall’s’ Japanese ‘stone garden’, and then head to the mall’s main attraction: the Ginza street shopping area. Modeled after Japan’s exciting Ginza shopping district, the Ginza area houses not only many of the mall’s stores, but also its innovative LED lighting system. The Ginza shopping area is nearly 450ft long and about 40ft high and hosts over 25 luxury shops. The Philips LED design team decided to give the mall’s Ginza district an authentic feel by giving each shop its own individual façade lit with its own individual LED lighting system. 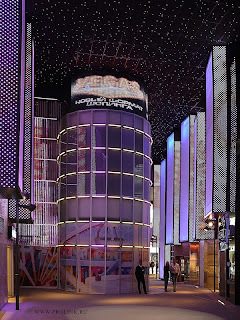 To heighten the uniqueness of the Vegas shopping experience, the lighting designers studded the black ceiling with twinkling LEDs to simulate a night sky to give your shopping expedition a whimsical and eternal feel. At the Vegas super-mall you can experience the brilliant excitement and best of of Russia, the United States, and Japan all under a single roof without the need of a passport! 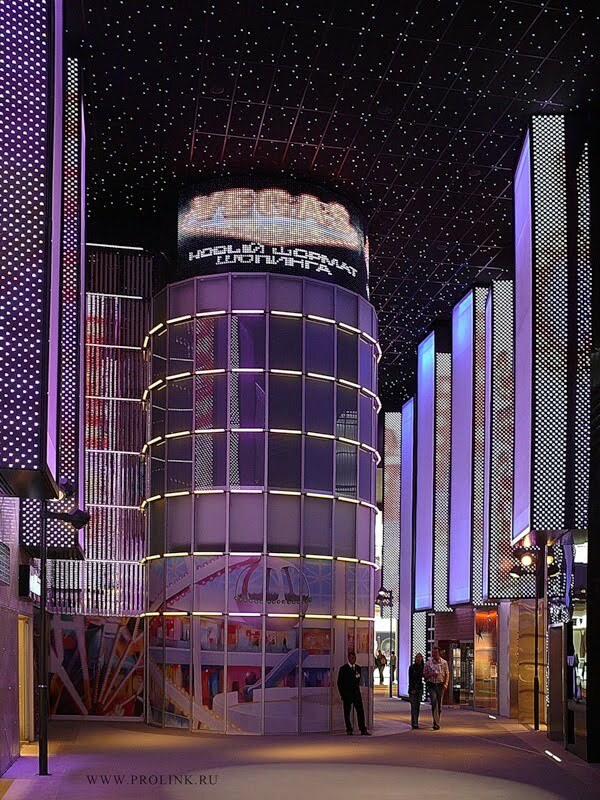 It’s safe to say that the fun and exciting flavor cooked up in the Vegas mall’s Ginza district would not be possible without the nearly limitless applications and possibilities of LED technology. Furthermore, the energy efficiency and durability of LEDs ensures that the LED lighting systems remain low cost while producing high excitement, guaranteeing that the mall’s Ginza district does not become excessive or immodest in cost or character. BulbAmerica has a wide array of LED products from stage lighting to LED strips. Check out what we have to offer—we have something for everybody! As usual, give us a leave a comment or question on our blog or Facebook or call us at 1-877-622-0897 with any further questions you have.